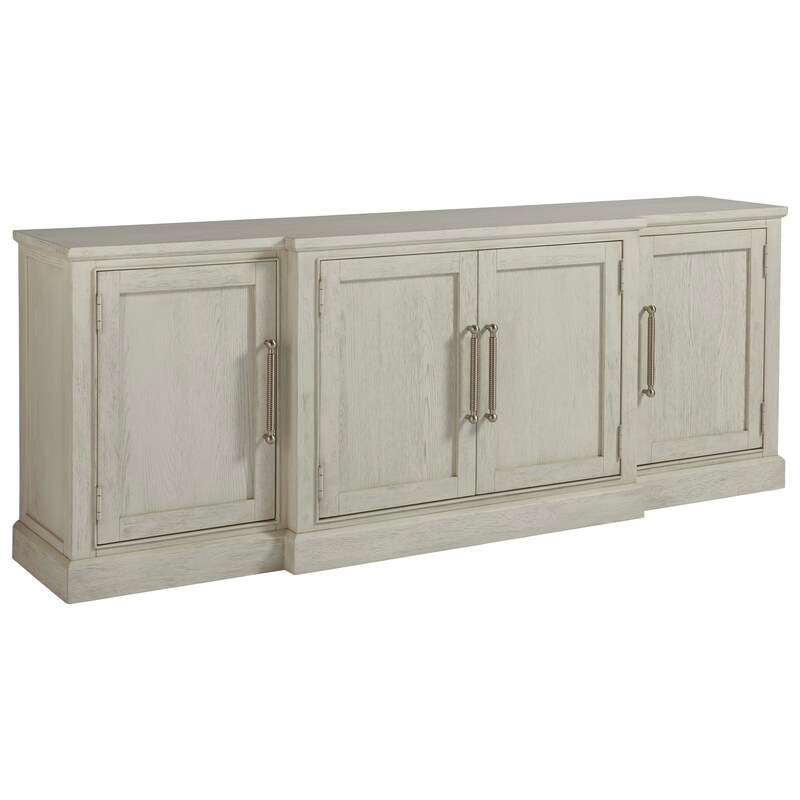 This television unit includes multiple door panel options, including speaker cloth, wood, and glass variations that allow you to tailor the console to your needs. Speaker cloth protects speakers and other devices from foreign objects with minimal interference in sound quality. Glass panel doors ensure DVD players and cable boxes are remote-accessible, while the wood panel option provides more concealed storage. Easily interchangeable, these multi-option door front panels allow you to create a console that enhances the quality and function of your media devices. 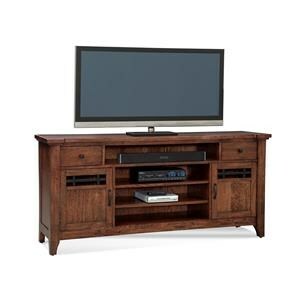 Make a statement in your living space with this Entertainment Console. 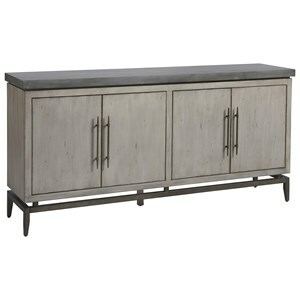 The piece boasts a coastal-inspired Sandabr finish that pairs beautifully with vertical handle hardware. As storage goes, you receive an abundance of adjustable shelving behind the four doors, allowing you to tailor your storage for you own needs. Furthermore, you can choose between glass or wood insets for your doors. 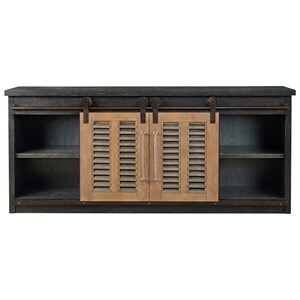 The Coastal Living Home - Escape Entertainment Console with Glass or Wood Doors by Universal at Zak's Home in the Tri-Cities, Johnson City, Tennessee area. Product availability may vary. Contact us for the most current availability on this product.